Loma Linda, Calif. --- Muggers in the Loma Linda-area have been dealt a serious setback when it comes to access to the local geriatric population. Ed Sutherland, 23, was no match for 110-year-old Edith Greenley's vicious self-defense moves when he cornered her in the parking lot of Loma Linda Market, a local vegan grocery store. Seconds after demanding Greenley's wallet, Sutherland was struck on the forehead by the centenarian's shopping bag. "I swung that bag like David's sling," said Greenley. "I had just stocked up on tracts at my local ABC so I was armed and ready. That's how Adventists slay people in the spirit." The incident was captured in its entirety on video by Greenley's 11-year-old great-grandson who was just emerging from the store as Sutherland began to threaten Greenley. The tween instantly uploaded the video which went viral before Sutherland even reached Loma Linda Medical Center. Sutherland left the hospital in the custody of local law enforcement with eight stitches to his forehead. For her part, Greenley has announced that she will be opening a self-defense class at the Green Oaks Senior Center. She has promised to demonstrate how students can defend themselves from any attacker using veggie food from the frozen food aisle of any mid-sized supermarket. Following the foiled attack, Greenley and her friends command a whole different level of respect around Loma Linda and the greater Riverside area. They are said to have inspired fear and trembling in the hearts of local petty theft enthusiasts. The word on the street is to stay away from anyone over 90 with a King's Heralds sticker on their walker. Asked what her secret was to living a long and secure life, Greenley said, "The Okinawans have Karate, the Sardinians have the Mafia, my knitting group and I --- we stay off the hooch and carry cans of Big Franks." Ask Auntie Adventist: Is Adventism a cult? Where, or where, is the link to the YouTube video? Please add it! I want to see this! “That’s how Adventists slay people in the spirit.” ROFL. I wish it was real, too. Actually that was fake also, it was an ad. Was the name Edith Greenly somehow a play on “eateth greenly”? This story is hilarious at many levels. Before writing idiocies about my people, learn about civilizations and cultures that you don’t know absolutely. 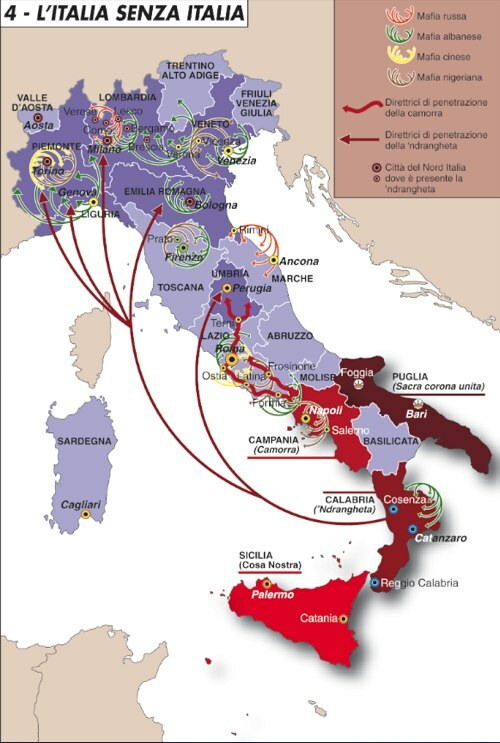 If you knew anything about sardinia you had never written that here there is the Mafia (mafia is an organized created in Sicily) and we sardinians are not ethnically and culturally italians or sicilians! It was even written a book few years ago entitled “perchè non c’è la mafia in sardegna” “Why isn’t there mafia in Sardinia” where are explained the reasons cause in Sardinia such criminal phenomena is never existed”. 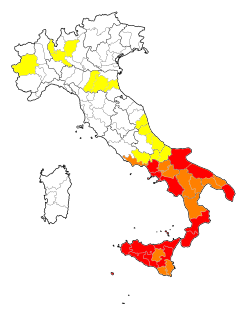 Sardinian society is individualist and anarchist (mafia is the opposite of this vision). As someone raised in SDA education, this didn’t make sense to me either. Why would sardines have a mafia? God bless this precious centurian..and I’m sure here guardian Angel was there with her to add a little stronger punch to that swinging bag. Somebody that knows, please give the facts…! Is it true or not? I mean, seriously . . .
Disclaimer: AdventLife did contact the manager of the Loma Linda Market and was informed that the event described in this story never happened. So sad someone has to write fiction as if it were true. This is hardly written as if it were true. This is satire. Really good satire. Check out barelyadventist.com. Is this for real? I certainly hope so! This is wonderful. Don’t mess with the old folks because wisdom can be better than anything else, especially since we do not live in fear but in love. Yes, at times when we are provoked, we love to teach the younger ones a lesson or two. GO EDITH GREENLEY! Promoting vegetarian meat substitutes and other healthful alternatives in keeping with the lacto-ovo vegetarian practices of the Adventist Church. Go to http://www.lomalindamarket.com/ to read the mission statement for your self . . .
Well..this still dosent take away from what this precious centurian did to protect herself from her attacker. Praise be to her and her guardian Angel who was there by her side to protect her. Pingback: New, Exciting and Craptastic SWAT Stories to Share! Oh Boy! How are people not getting that barelyadventist is a humorous blog? When the going gets tough, you can always count on Big Frank! Reports that nothing of value was taken during this strong-arm robbery of local elderly woman is incorrect. Please allow me to explain and correct the story here. Once the shaken, but unharmed Ms Greenly had returned home and settled down, she recounted Her money several times. Nothing seemed to be missing, but, she couldn’t help that nagging uneasy unsettled feeling that something was missing. Recounting and making mental notes, she couldn’t put her finger on just what was missing, if anything. Finally, she removed the entire contents of her handbag the robbers had tried snatching away from her…but everything of value was still there. She went over the list of contents numerous times. A leather wallet containing $20, $10, $5 and several $1 bills all in perfect order. Her drivers license, Loma Linda Hospital volunteer ID badge, along with various charge/credit cards, Sears, JC Pennys, Macy’s and a long expired LL library Card that were tucked neatly away inside her billfold along with a pair very scratched up sunglasses, a white cotton handkerchief, several weeks worth church bulletins, gum and a few other items women keep in their purses. She also had almost a years worth of shopping receipts…expired store savings coupons, as like most women, Ms Greely never cleaned out her purse and simply kept accumulating more stuff added on top of her already overflowing handbag. Is almost like a museum or history book. Just as she was nodding off for afternoon nap…she recalled JUST what was missing. A large envelope containing hundreds, if not thousands of canned food labels she’d carefully cut, folded and flattened so that would fit into the envelope. Years worth accumulation of the Loma Linda, Worthington, Cedar Lake canned fake meat labels she’d saved, intending to turn in on the upcoming Investment Sabbath service. THAT’S what the thieves were after…her labels! They wanted to win the prize for most labels turned in on Investment Sabbath. What a shame and absolute tragedy that a thief would lower themselves to such low levels of stealing an old ladies lifes savings of canned fake meat labels. I hope they throw the book at this thief!…and for sure, a life time ban for their turning in ANY and ALL labels from ANY food products!…for shame, for shame! A couple cans of Choplets in a plastic bag has to be registered as a deadly weapon and a carry permit obtained in most states. Right? This is by far the funniest, most comical of any satire post on this site, in my opinion. 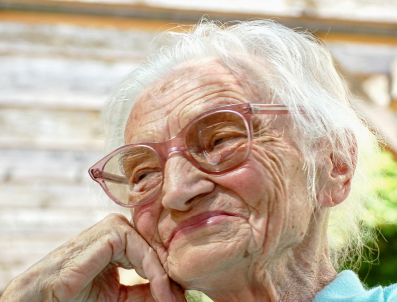 I couldn’t stop laughing about: “The word on the street is to stay away from anyone over 90 with a King’s Heralds sticker on their walker.” Keep the good humor rolling!